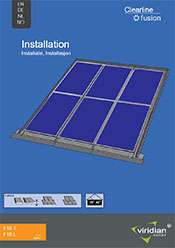 We&apos;re running a fun social media competition for solar installers, householders and builders. It&apos;s your chance to spoil your long suffering significant-other, family or work colleagues by taking them out for dinner, on us! 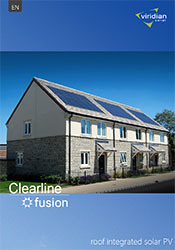 Each month between now and the end of the year we&apos;ll be giving away a £150 restaurant gift card to one lucky person who has posted a photo of a Clearline fusion installation on social media. 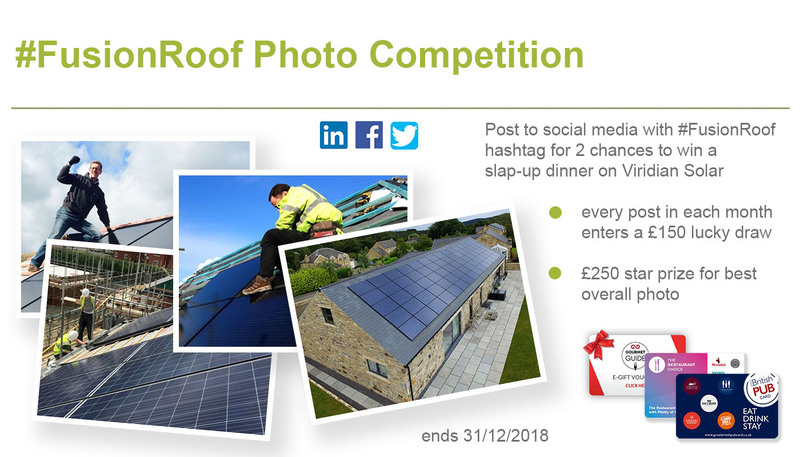 Photos don&apos;t need to be glamorous to qualify - all photos that we spot on LinkedIn, Facebook and Twitter and tagged with #FusionRoof will be entered into the monthly draw. There are two chances to win a prize, though. In addition to the monthly draws, photos of fabulous-looking projects will be shortlisted for a £250 Star Prize which will be awarded in January 2019 for the best-looking installation photo. There&apos;s no limit to the number of times you can post, but we do reserve the right to combine repetitive posts into a single entry for the draw. We will do our best to catch them all and add them into the list, but cannot promise that we won&apos;t miss yours - so keep on posting photos to increase your odds. Each month a post will be drawn at random from the posts in that month and the person or company account that posted it will be the winner of a £150 restaurant gift card. In addition any "great-looking* photos" will be publicised in our gallery with a back-link to your website and shortlisted for the Star Prize. Why not go back to that great project you&apos;ve been meaning to and grab a shot? (* what looks great is at the complete discretion of the organisers, whose judgement will be final). The star prize winner will be chosen from photos shortlisted throughout the whole promotion and will be announced in January 2019. Winners can choose from these gift cards: Great British Pub Card, Restaurant Choice and Gourmet Guide. Take your loved one out for a posh dinner, or your work mates out for a burger and a beer - your choice!